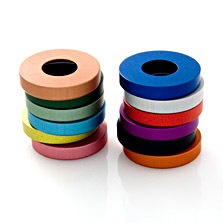 Each Vignelli watch includes 3, 7 or 15 different coloured rings. Extra rings are seperate available. For all 5 models in 17 colours.